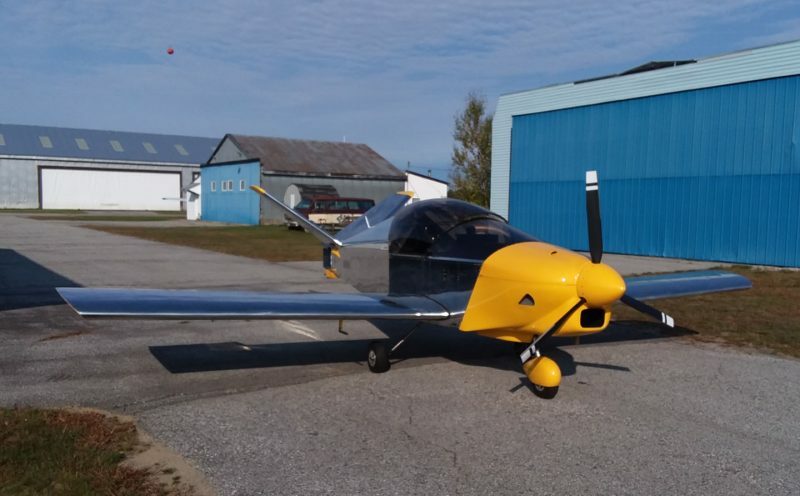 Congratulations to Max Emmighausen of Sugar Hill, New Hampshire whose tri-gear Waiex (S/N W0059) flew for the first time on September 30th! “My Waiex flew for .6 hrs yesterday at Mt Washington Regional KHIE. It flew wonderfully, no surprises,” writes Max. “Thanks especially go to my ultra patient and helpful wife Cathy, Mike Smith for encouragement/help airframewise and Casey Lyon and Don Bowen with engine help/info. Of course thanks also goes to many unnamed others along the way. Keep on building it’s worth it.” Gold Wings are on the way!